Biden accuser calls his hugging jokes "incredibly disrespectful"
The average price of products on Walmart.com is now just 0.3% higher than those on Amazon.com, according to a study by retail data analytics firm Market Track cited by Reuters. The study analyzed prices of 213 products over a period of 700 days ending November 7, 2017. That's down from an average of 3% higher during the first 350 days of the study ending in November of 2016. 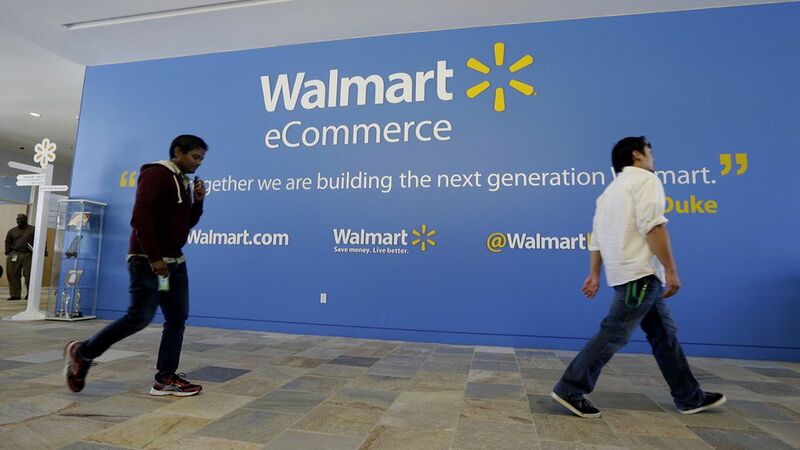 Why it matters: These data illustrate Walmart's renewed focus on e-commerce in recent quarters, during which it has invested heavily in lower prices and expanding services like curbside pickup to drive online sales. Nevertheless, some analysts worry that these price cuts are shrinking Walmart's profits, and discouraging customers from shopping in its higher-margin stores.